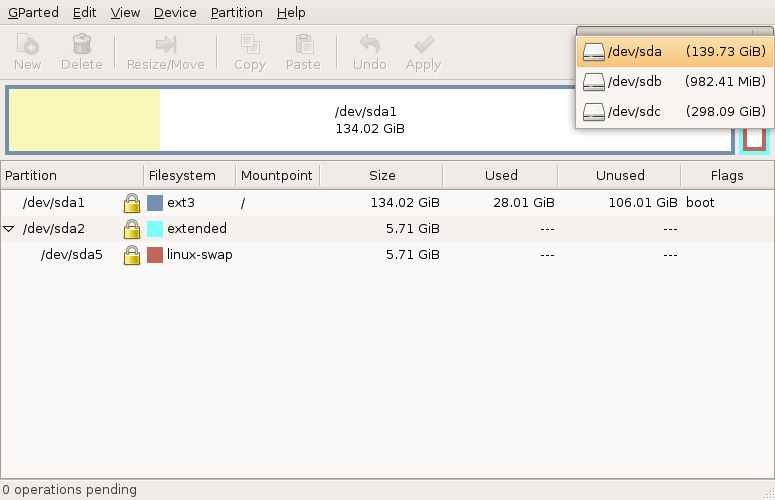 Ubuntu does not come with any graphical tools to repartition or resize a drive. Luckily, GParted comes to the rescue! Sometimes the best way to make sure you’re looking at the right drive is by the total space available. 4. 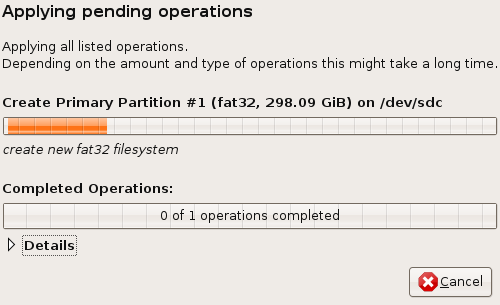 Steps here will be slightly different if you are deleting an old partition, or resizing an existing one. 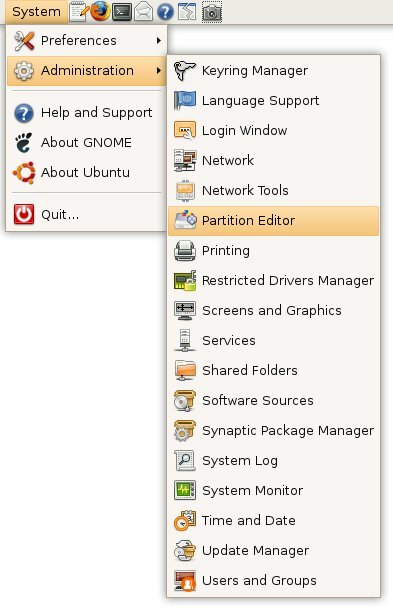 This program is very intuitive, so if you’re doing something other than creating a new partition, you should be able to figure it out easily. Notice how it queues up the operations in the status bar – no changes are made until we click on Apply.